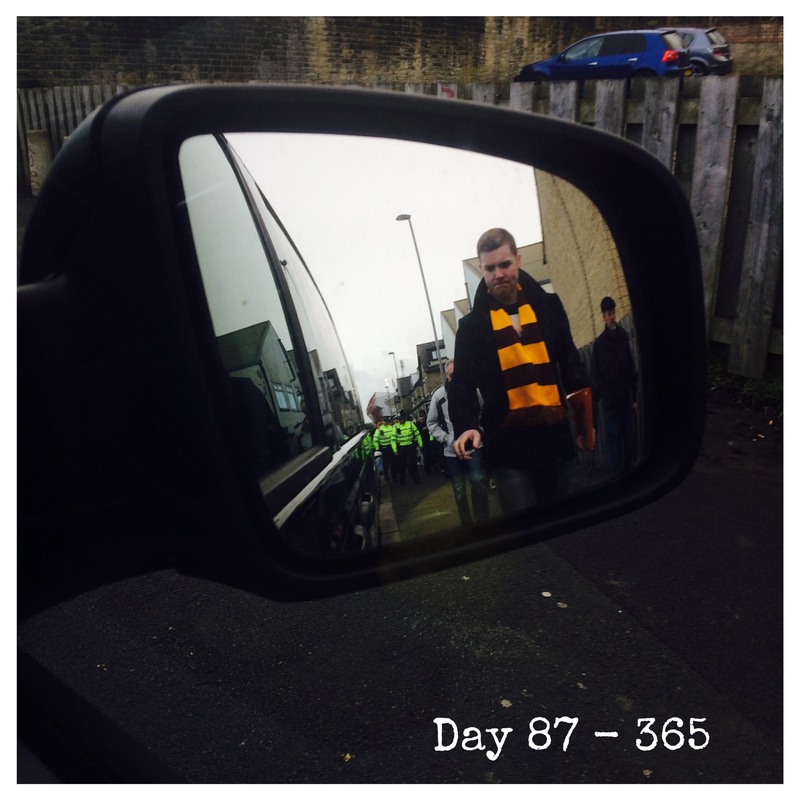 Taken from inside my van after today’s match against Oldham Athletic at Valley Parade. We had just beaten them 2-0 to maintain our hopes, rather slim in my view, of reaching the promotion play-offs this season. Two strikes from Billy Clarke, both late in the second half and in front of the Kop, gave us the win against a determined and well organised Oldham side. Their fans kept up a superb noise all match as they sang and cheered their team on. This photo is of Liam Scott, Bethany’s boyfriend, as he is about to get into my van. Behind him are a line of police officers escorting those Oldham fans along Midland Road and towards the train station.